A market order is a foreign currency trading order to buy and sell currencies at the current market price. You should use a market order if you want to buy or sell the foreign currency trading units in a specific time. In a market order, there is no assurance regarding the price you buy and sell in, so you should be sure of that price before investing. when you place a market order it is registered and executed through foreign currency exchange trading instantaneously, and the buy price is the same as the price of that exact time they were placed in. 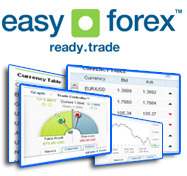 Choose the type and amount of foreign currency trading you wish to partake in. Take both the bid and ask prices, and choose whether to buy or sell the currency. Get confirmation for the foreign currency trading transaction. When you place the currency trading order, there are more considerations to be done, such as placing stops, and you can read more about them at the different sections in this site.